One of the biggest challenges that we photographers face when traveling is productivity – being able to import, access and back up captured photographs and sometimes even edit them to be posted online or provided to a client. While we have plenty of gadgets today to accomplish this task, the world seems to be divided between three camps – full-featured laptops that come with bulk, weight and very little battery life, highly mobile tablets that pack enough battery life to keep you busy, but don’t have the juice to run anything serious, or “ultrabooks” that fall in-between, being a compromise in terms of weight, bulk and performance. For a while, I thought that an ultrabook would be the best device for my needs. With a laptop style layout, small and portable design and plenty of processing power and memory, I tried out a couple of ultrabooks to see if they would fit my needs. My first pick was the Dell XPS 13, which I had high hopes for. After using it for a few months going through several motherboard replacements, dealing with the horrendous trackpad and a myriad of performance and other problems, I realized that it was not something I had any desire to continue to use. A bad mistake that cost me money and valuable time. I then tried out a few other ultrabooks from HP and Sony, getting equally frustrated with similar or other problems. After all the frustrations, I kept on coming back to my good old Dell Precision laptop, which was heavy and too large to fit in any normal backpack. But at least it worked and was good enough to do some real work. That didn’t last very long either – after years of use, the laptop finally died and it was time again to shop for something newer and better. Only this time, I knew that I would have some international travel and simply could not consider anything that big. After some research and visiting of a local Microsoft store, I decided to give Microsoft Surface Pro 2 a try. Being a tablet based on the Microsoft Windows 8 operating system, this one felt different than anything else I have used before. First of all, it is available in a number of different configurations, two of which boast plenty of hard drive space and RAM to run Lightroom and the resource-intensive Photoshop. The 256 GB and 512 GB models have 8 GB of RAM and run 64-bit Windows 8 OS, so I figured that they should be able to run pretty much anything. Having owned the iPad, I did not want to be limited to just a tablet-style gadget, so when I saw that the Surface Pro 2 could be used with a real keyboard, a mouse and even a stylus pen, I decided to give it a serious look. I decided that the 256 GB version would be plenty enough for my needs and it fit my budget, so I went to a local Best Buy store and bought one. In this review, I will talk about my experience with the Surface Pro 2 from a photographer’s perspective and how it has been working out for me during my travel in Europe. 1) Why not Surface 2 or 4 GB Pro 2? You might be wondering why I decided to skip on the regular Surface 2 or the 4 GB version of Surface Pro 2. Having used Adobe Photoshop for many years now, I know that it is a resource-intensive application, particularly when it comes to RAM. Lightroom is the same way, except it is often even worse, thanks to its memory leaks and other annoying bugs like this one. Simply put, 4 GB of RAM or less is just not enough to run Adobe applications smoothly. 2) Why not Macbook Air? Many photographers prefer Apple products for their needs and I can see why – Apple definitely has some very nice laptops and ultrabooks like the Macbook Air that pack plenty of power and storage for some serious work. However, I had two dilemmas that stopped me from leaning towards a Macbook Air. First of all, I have been a longtime PC user and I am very used to the PC environment. Second, Macbook Air is still an ultrabook and not a tablet like Surface Pro 2. The keyboard is not detachable and the screen is not a touchscreen, so there is no option for using a pen for quick sketches, retouching and adjustments. Lastly, I would have to purchase a number of apps for Mac, so there were additional costs to deal with. My very first test was to see how Surface Pro 2 can handle CPU and memory intensive applications like Photoshop and Lightroom. I installed Adobe Photoshop CS6 along with my favorite Google Nik Collection plugins and fired it up first. The application opened very fast – it only took about 6-7 seconds to load, which is just a tad slower than my dedicated desktop at home. Editing high resolution RAW files in Photoshop was quite good and not sluggish. So overall, I am quite pleased with the Photoshop performance. Lightroom, on the other hand, was noticeably slower. The process of importing images was decent, but the overall performance of the application was a little sluggish, especially for images that previews were not generated for. Once previews were generated, it was pretty fast though. After realizing this, I forced Lightroom to generate previews upon import, which seemed to increase the performance significantly. Keep in mind that the Surface Pro 2 will slow down the USB port significantly when it uses battery power. So if you notice that your transfer / import process is taking very long, plug the device to power and you will see USB speeds improve dramatically. Still, I was surprised to see that the Surface Pro 2 was as fast, if not faster than the Dell XPS 13 ultrabook that I have been using, which was definitely good news for me! For a small 11″ tablet, the Surface Pro 2 has an amazing 1920×1080 Full HD display. Compare that to the 13″ Macbook Air’s 1,440×900 screen and you will realize how much better the screen on the Surface Pro 2 really is. The iPad “Retina” screen is obviously better with its super high 2048×1536 resolution, but as I have stated above, the iPad is far from being an ultrabook – it is just a tablet with very limited RAM memory. More resolution means that you can view more details on photos without having to constantly zoom in and out, especially when working in Photoshop and Lightroom. Color reproduction on the Surface Pro 2 is superb, especially once you calibrate the screen with a good commercial tool. And yes, you do have to calibrate it just like any other monitor! When I first tried out the original Surface with its Touch Cover at a local store, I absolutely hated it. While people were saying that one can get used to it, I just could not see how I would. That’s why when I saw the Type Cover 2 keyboard, I knew that it was the way to go for me. And it was certainly a good decision – I can write fast and efficiently with a traditional keyboard and I was happy to see real Function (F) keys! 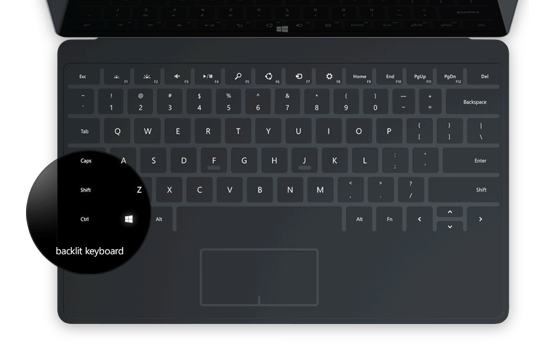 The second complaint is with the touchpad – it is still the same “touch / feel” version. I have always had a hate relationship with all touchpads and this one is certainly not an exception. The left and right buttons are not buttons and just have designated spots, so it is pretty painful to use and get used to. Knowing that I would have these problems, I decided to solve the problem early on by using a real mouse. I bought Microsoft’s “Arc Touch Mouse” that is specifically designed for the Surface Pro 2 (without eating up the precious USB 3 slot), and I am happy to say that it was a great decision! The mouse is very compact when not in use, becoming completely flat, which again shaves off precious space in my bag. As soon as you move it to the “Arc” position, it turns on and works really well on most surfaces. Battery life is amazing and the virtual “scroll” feature is very cool. For me, the Surface Pro 2 is incomplete without a fully working mouse, so if you use a mouse religiously, definitely get this particular model. I actually had to visit a few stores in Denver to find the darn thing though – apparently it is very popular. 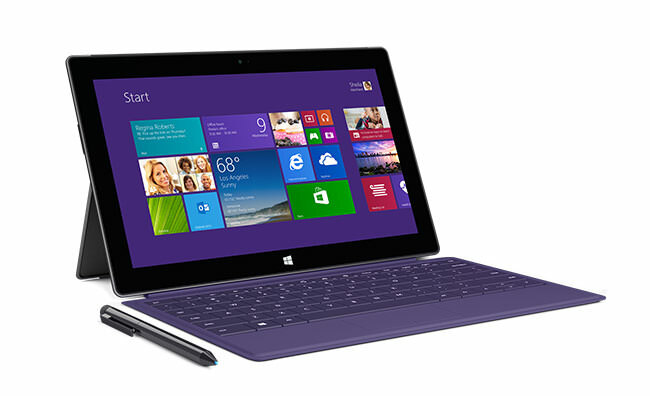 According to Microsoft’s specs, the Surface Pro 2 can deliver up to 7 hours of battery life. In power save mode, I was able to squeeze out about 5-6 hours, and the battery life fluctuated by an hour or two depending on what I was doing. When kids wanted to play some 3D games (more on this below), battery drained pretty quickly – I was only able to get a couple of hours max. The same was with Lightroom and Photoshop. Using the two extensively put a high load on CPU and memory, so batteries drained much faster than normal. 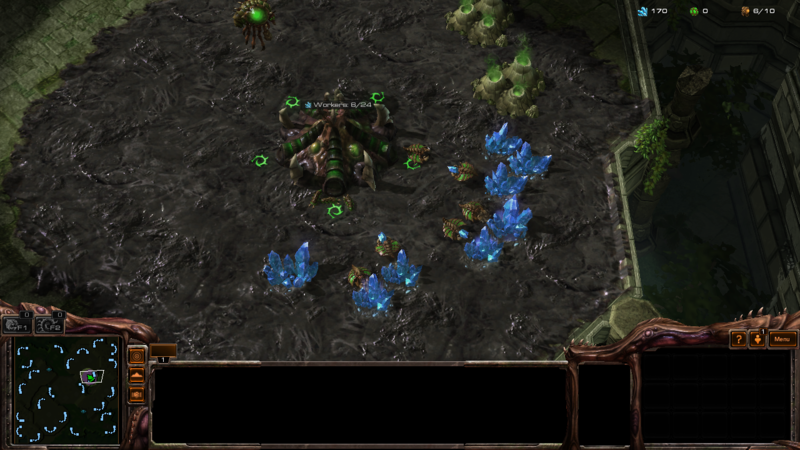 Although I am not into gaming anymore, my kids occasionally like to play games like Starcraft II. When I first installed Starcraft II, I thought that the Surface Pro 2 would not be able to handle it. To my surprise, the game worked very well and did not seem to show any signs of lag! I then tried out Diablo 3 and it was also quite playable on the Surface Pro 2. I just needed to first make sure that the stuck key fix was applied before starting a game. Other than that, the Surface Pro 2 seemed to have no problems with running demanding games. Yes, the battery life was short and the back of the unit got very warm, but it worked just fine. And if this machine is good enough to play games, it is definitely good enough to handle most other applications! The touchscreen also works amazingly well. Although I mostly rely on using the Type Cover 2 for typing, it is nice that I can disconnect it and fully switch to the touchscreen instead. The screen is very responsive and easy to use, with built-in support for gestures. What can be a bit tough is the fact that the Windows operating system is built with small windows and buttons, which can be hard to reach in certain areas, especially if you have large hands. Stylus obviously takes care of the problem, but I do not expect everyone to carry the stylus around all the time. From that standpoint, a true touchscreen tablet like the iPad is designed to work easier and better. The Surface Pro 2 comes with a dual-position kickstand, which is a really smart and neat feature! In regular position at desk level, you set it on the first position and when putting it on your lap, you can change the angle to still work comfortably! One feature that I have not tried yet, but cannot wait to check out is the tethering option. Since the Surface Pro 2 is so small and compact, I am thinking of modifying my lab setup at home, so that I can connect my Nikon D800E to the Surface Pro 2 with a USB cable. Using Nikon’s Camera Control Pro 2 software, I can then transfer files directly to the Surface Pro 2 and set up Lightroom to automatically import every captured image. For those that shoot in studio environments, this could be a cool option to explore. Transfer speeds should be pretty good, since it is a direct USB connection instead of a wireless transmission. If you want to expand the memory of the device, the Surface Pro 2 comes with a MicroSD slot on the right side. With SanDisk now making 128 GB MicroSDXC cards, it makes sense to use that slot for extra storage or backup. Personally, I would use it for backups when traveling. Once you import all the images, back up your photos and Lightroom catalog for peace of mind. I really wish Microsoft included an SD card slot though. Perhaps the next version will have one! So far, I am very impressed by what the Microsoft Surface Pro 2 has to offer. With its compact size, beautiful display, real keyboard, stylus and mouse options, the Surface Pro 2 has become my travel companion and a great tool to keep myself productive when traveling. I have been using it to edit photos, import and backup images and even entertain my kids by letting them play games and watch movies on it. Although a lot of people consider the Surface Pro 2 to be a tablet like the iPad, it simply blows the iPad away in every way and falls more into the ultrabook territory instead. It is not a direct competitor to the Macbook Air either, because it features a touchscreen and does not have an integrated keyboard. So in a way, it is a mix of the two, a “hybrid” I guess. The 512 GB version comes at $1799. With a mouse, cover with integrated keyboard, and a scratch protection you can easily get above $2000. That’s going to cost you. I don’t really understand what the problem with a laptop is. You can easily fit a 15.6″ in any decent photographer’s backpack, and easily carry it wherever you go. That is unless you’re a wildlife photograhper. However, in this case, you don’t need to carry it anyway, because, you will be in a place with no wifi coverage, and you can easily donwload and edit your images when you get home. Yes, but you had somewhere to let it. I’m not very fond of heavy, equipment filled backpacks, but i prefer to have everything i need with me. Also, if you have 2 camera bodies and 3-4 lenses, you are probably not going to wear it during the shooting anyways, so what does it matter if you have 1-2 kg more or less? Just to “weigh” in my thoughts, weight has certainly been on my mind a lot lately. I do commissioned portrait shoots during the day M-Th, with 1-4 sessions per day, and need to carry a variety of stuff with me all day–including a computer for presentation 1 hour after the photo session. My setup is the same every day, and every day the weight seems to increase! Nikon Df + D300 for backup; Manfrotto tripod + head for occasional off-camera lighting and sunset shots; 17-35 f/2.8; 24-70 f/2.8; 70-200 f/2.8; 50 f/1.8; SB800 and SB600 + spare batteries; Gary Fong Diffuser + Rogue Flash Bender; three batteries each for camera bodies + two chargers; assortment of memory cards; a variety of Think Tank camera and lens slings; paperwork for photography copyright releases; business cards, etc. etc. ; and a Lenovo ThinkPad X220Tablet PC + charger (the convertible notebook kind) with 8 gigs of RAM, fast processor, and all the relevant software for edits on the job. Because my portrait “studio” & “office” are one-in-the-same, all my gear needs to be with me all the time, and aside from being mobile, it needs to be easily accessible and look professional to boot. Roller bags don’t work where I shoot, so those are out. I need to carry it all. Besides, having everything compact doesn’t just look professional and clean: showing up with things hanging all over me like Christmas Tree decorations makes my performance suffer, as well. Happily, all this gear fits in the one pack and looks very clean and professional. But, it’s quite heavy. Being an avid alpine rock climber, I try to impart the same philosophy with packing my photography gear as I do my climbing pack: ounces add to pounds, pounds add to pain, and pain adds to a reduction in performance. If I could afford a lighter computer, that would make me very, very happy. Shaving even a few pounds from this setup would make a big difference after a long day. It would be similar to not carrying the 70-200, and I would certainly feel that difference after hours on my feet. Seems the Microsoft Surface Pro 2 is right up my alley, and once I am in a position to, I will be seriously considering it. Presently having a touch-screen convertible tablet (with stylus) also makes it hard for me to go back to a ‘regular’ laptop now. So much of the business side of things are accomplished with this feature (photo editing is so much quicker when working with masks and brushes), but also, my workload is greatly simplified with Microsoft OneNote + touch screen. Indeed, every photographer has different needs. But I think for the mobile photographer that wants or needs to carry a bit of gear with them and a laptop during their day, the lighter the laptop, the better–depending on one’s shooting needs, there’s only so much reduction one can make with the photography equipment side of things. I’m glad for you that you have so many comissioned shots. I would love to have at least 2 a week. I understand how difficult it is to have to wear a lot of camera equipment throughout your day, and how good it is for the client to see the photos right after you are done. However, if I were in your situation, i’d hire an assistant who would take care of all the gear, while i’m focusing on the job at hand. It looks even more professional that way. Returning to heavy computer vs light tablet/ computer, i think it depends on what you want to present to the client that day. Obviously, if i could buy a lightweight tablet computer which can support a quick edit for 50-60 MB raw images, at a reasonable price, i would go for it. However, for me, personally, buying one at twice the price and less the power, at this moment, is absolutely not worth it. I should have been more specific: my commissioned shoots don’t necessarily pay me anything aside from a minimum session fee/s I charge (and it’s very small–that’s how I get the work). I work out of 4 major resorts each day on Maui (Ritz, etc. ), who book for me (and take a large cut) and the presentation after the photo sessions are the only chance I give the clients to purchase one of the packages I have to offer (thumb drives of all images, or a bunch of print packages + thumb drive, etc), or else they get a single 8×10 print for their session. So the photo selections happen very fast; the edits I make are also very fast (think: batch edits in Lightroom and Nik); and the presentation happens over about an hour. If I can’t sell them any packages for the session, then I’m making very little from the actual session itself. Some days are better than others. Some people just take the 8×10, in which case, I’m making about $12/hr. Yeesh. HOWEVER, my saving grace is I do more traditional portrait work / packages F-Su. With these, I’m lucky to get one a week, which are more traditional shoots that last a few hours and have edits that happen while I’m at home, and take many, many hours (family shoots, events, senior pics, etc.). These are where I make the bulk of my money. The M-Th gig sometimes pays very well, and sometimes just gets my by. Either way, all the gear goes with me every time. For the weekend shoots, I usually head to a coffee house and backup all the files to cloud and physical locations before heading home to begin edits. And I hear ya on the price RE: the Surface Pro 2. I’m in no way able to pay for that right now. But as my ThinkPad continues to get older, it weighs on me, and I think no matter the price, in the future, I will opt for the lightest PC or Mac I can get that can still handle the editing side of things. My present laptop weighs more than a few or my lenses combined (70-200 included) that I carry every day. I’d happily be rid of that excess weight. The high price pays me in the end from lack of pain! In your case, it is well worth buying something very lightweight, although the cost is a bit steep. Get the Power Type 2 Keyboard. It has an extra battery built in that increases the battery life. The system first uses the keyboard battery and then discharges the system battery. The Power keyboard is a bit thicker (3-4mm) than the normal Type Cover 2, but for me the little bit of added weight is worth it! Also the price is a bit more at $199 Vs $129. That’s the beauty of the Surface concept: you can ditch the keyboard when you want more portability. I have been using the Surface RT for almost a year now and I like everything about it — moved from a Macbook Air that kept having dropped wifi connectivity problems. Everything, except one: it only runs Internet Explorer and, man, IE is _horrible_. It’s the browser they will force you to use in Hell. Dog slow, keeps giving me “page not found” error messages, etc etc. It’s gotten worse with every system update. So now I’m considering moving to a Surface Pro 2 just so that I can run Firefox and/or Chrome. I think maybe that’s the function of IE: to annoy you so much that you will upgrade to a new machine every year. Lately I made the same toughts about retire my Ultrabook and switch to some Pen-Equippet Windows Tablet. But my Ultrabook (ASUS UX32VD) has a dedicated graphics card, i’ve installed 10 GB of RAM and a pretty damn fast SSD, all together with a CPU speed of up to 3 GHz can’t even match with the highest configuration of the Surface Pro 2 or any other option (Sony Vaio Tab 11 for example). So for now, there is no need. With Tablets, I don’t think photo editing are good idea. I prefer Asus T100 that have a 500GB HDD on the keyboard side which is good to store my D800’s photos. Dude, Asus T100 is still a tablet concept. One with the poor specs of a tablet, at that. No wonder you can’t edit on it. The Surface Pro 2 has Core processors, starting from Core i3 all the way to i7, if I’m not mistaken. And it runs regular Windows. I tried the iPad for 2 weeks before I got rid of it. It’s a toy. No contest: the Surface is a tablet that lets you do real multitasking. Well, surface is a tablet. iPad is a toy, when it launched. And once you are trying to use Surface to do photo editing, the battery drain are faster, not to mention you need to plug in another harddisk. So not that practical. I made a similar purchase for a recent trip to India, taking also a Fuji X-E2 system and an X100s rather than my full Nikon full-frame kit. However, I went instead for the similar Samsung XE700T1C (or ATIV Tab 7). Mine has just 4GB RAM rather than 8GB though I didn’t notice any speed problems with Lightroom or Photoshop. It also has a 128GB SSD and a 64GB micro SD card. However, the reason I preferred it to a Surface 2 is that it has two USB2 ports and one USB3 port instead of just one USB3. That means I can attach a card reader to download to one of the USB2 ports, an external hard drive to receive the images on the USB3 port and another hard drive for backup on the other USB2 port. That gives me plenty of disk space, even for a long expedition. To be more rigorous, I should have a third external hard drive for a further backup from the first hard drive. As it was, my primary external hard disk became corrupted when I tried to upload to the PC. Because the Lightroom backup on the other disk had a different directory format I couldn’t easily substitute that to the Lightroom catalogue on the tablet. So I still had all my RAW files and could see what I had done in the Lightroom preview on the tablet but I had lost all changes I had made and all TIFFs I had created. Clearly, another backup disk next time. One drawback I found, which I presume would also apply to the Surface Pro, was that I was not able to profile it with my i1 Display Pro. X-Rite has released ColorTrue which allows profiling of Mac and Android tablets but not Windows. Similarly, the X-T1’s remote control utility is for Mac and Android but not Windows. I wonder whether this will change or is Microsoft holding back some kind of access? Hey Nasim, I don’t think this bug exists in the Mac version :). i guess most of us beginner level photographers might just as well save a grand and carry half a kilo of more weight. I agree withe Xpanded. Avoid the surface – it has a limited future. The iPad Air is a better bet. Of course you can me edit videos on an iPad. It works very well. Enjoy your surface. My point is about how long MS will continue to make and support the product, candles notwithstanding. Photographers have lots of choices. I have chosen not to bet on MIcrosoft. At this point in time considering how well a company and a product range will continue is one consideration we all have to make. Microsoft do not have such a great history as a developer of hardware. Sorry, you can not use adobe premire C6 on an iPad. Secondly a MBP does not have a touch screen. Adobe Premiere used to have video editing to itself, but that was years ago. There is still lots of debate about Premiere vs Final Cut, and there are lots of quite usable products for video editing. It depends on how much video editing you want. You are correct, the MBP does not have a touch screen and I am pleased it doesn’t. I am sure you are aware that people are migrating from Final cut to Premier there isn’t any debate. I work as a video editor. Furthermore having a touch screen is a dream when opening files, and moving them in a timeline. Finally this article is about the Surface pro, not a Mac book/ iPad. You’ve never even seen or touched a Surface, have you? I think Martin G. could be better informed about the future of the Surface line. Microsoft is holding and event in NY, on 20th of May. Rumors have it that a Surface Mini, may be announced, so the iPad is not necessarily the better bet. Importing photos even for backup on the iPad is unconventional st best. And editing on an iPad even with a host of good apps like Snapspeed or PhotoPro just doesn’t cut it for me, and I have tried. PhotoPro is very good, for actual metadata iptc captioning, and ftp of finished images. That being said, I took the expensive plunge, for a maxed out Surface Pro 2, and both keyboards. My workflow is import to Photo Mechanic, tag and color code selects, caption final resizing, toning, sharpening in…?…Photoshop Elements 12. Sorry, I just never liked how Lightroom fields the iptc captioning. Elements works for me because there’s no Creative Cloud subscription crap to be, teathered to. I also have a Sony Vaio Pro 13, but for moving around, hacking my way o the NY City subway, I love the Surface Pro 2, and it’s regular thin keyboard. And I shoot with Sony Nex 7’s a Nes 6 and even run around with a kitted set of Nikon 1 V1, & V2. Love the speedy burst rate of these unassuming little beasts. The new V3, with it’s articulated screen with the menu buttons on will trump the screen on the Sony’s. Mirrorless and Tablets work for me and my 65 year old back. I hope it continues to work well for you. I am keen to find out how well the Nikon V3 works for video. Their 300 lens (800) looks interesting too. Lightroom doesn’t require a CC subscription either. Even if the line is going to last for just another 2 years, what’s the problem? You’d still get a good use for those 2 years. That’s about the typical upgrade cycle for Mac users, too, nowadays. Gone are the days when a Mac could last you up to 10 years. With everything locked tight inside, built-in obsolescence is a fact of life. And it’s not like suddenly the Surface becomes a brick once Microsoft stops producing new ones — you can still use it until it stops working and spares could no longer be found. Just like Powerbooks, really. I took my Surface Pro 2 to Myanmar in January. It’s the first time time that I’ve taken any laptop with me. I was travelling light and appreciated the small form factor and also the power of a full Windows machine with access to various Modern/Metro software and desktop software (Photoshop CS6 for example). The keyboard, touchscreen, and mouse allowed for a full range of controls and explore my more artistic side using the digitiser/pen. The small screen meant that it was a bit difficult to work with normal Windows desktop software but those are the accepted compromises for having a small device. Note that I also have an iPhone and an iPad; I just use the device that’s most appropriate for a particular need. The Surface Pro 2 is now my default go-to device as I have a lot of software tools on-board for my non-photographic work (I’m not a professional photographer). Of course, YMMV. I read that Microsoft changed the stylus on the new Surface Pro 3 series. How do you feel about the new stylus and the bigger screen on the Pro 3? I’d appreciate a small review between pro 2 and pro 3 especially for the needs of a photographer. I’m still using the Surface Pro 1, but I have used the Pro 2 and Pro 3 a bit. The stylus is just as good – you can even see Abe’s review from Penny Arcade (very popular online comic). Bigger screen is always welcome. I think the biggest benefit is the new kickstand, it’s such an important feature that is lacking in the Pro 1 (and to some extent the Pro 2). Not sure about battery life, but I have the Power Cover for Pro 1 and 2, which is pretty awesome. It’s nice to be free from worrying about running out of power, nomatter what I am working on. Pro 3 is supposed to be better for battery life, but I’m not convinced it’ll be THAT much better. 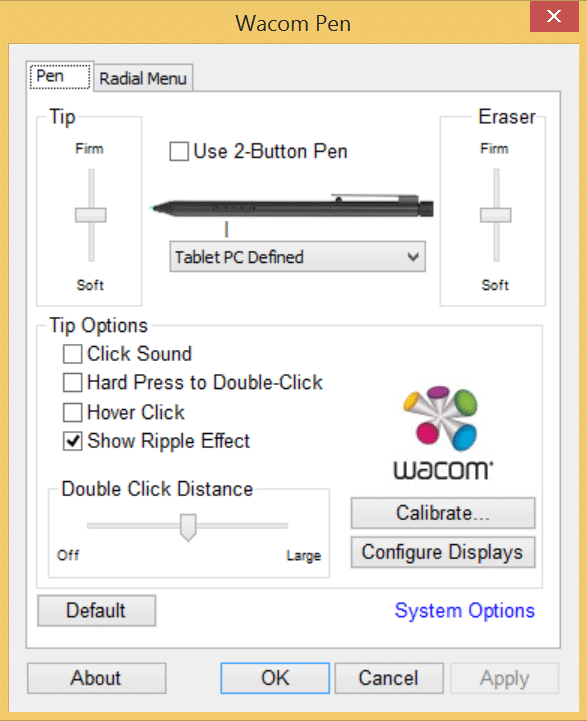 I have a question about using the Surface Pro and Photoshop CC: How do you make the menu bar, tools panel, and options bar larger? My eyesight isn’t what it used to be. Hi Alex , tethered shooting is what I would be wanting to do, d700 into lightroom or control my nikon, is there a usb port on the screen half which enables the keyboard to be left at home etc. ? or are the only ports on the keyboard half , if you know what I mean? regards Mark. Very helpful guide though I came across of it late… I personally had a lot of struggle with transferring all the files and programs though ended up solving the problem. I totally agree it beats the iPad in every single way. They’ve done an outstanding job. PS. For anyone having the same problem I had, I followed this tutorial www.zinstall.com/how-t…ft-surface and was able to transfer everything perfectly.